Americans have a right know that their representatives are serving their interests and not profiting off their positions in government. With our three distinguished guests, Obama Ethics Advisor Norman Eisen; Fordham University law professor Zephyr Teachout (joining via video-conference); and Noah Bookbinder, executive director of Citizens for Responsibility and Ethics in Washington (CREW), we’ll explore the historical roots of corruption, define and identify conflicts of interest and ethics violations, and help determine what we can do to support greater transparency and accountability in our government. The new administration presents an unprecedented number of foreign and domestic conflicts of interest, many stemming from the president’s refusal to divest from his businesses. In one case, CREW filed a federal lawsuit accusing the president of violating the Constitution's Emoluments Clause, which prevents federal officers from accepting gifts from foreign governments. The prominent legal team filing the lawsuit includes Eisen and Teachout, who has been studying and writing about the Emoluments Clause for nearly a decade. 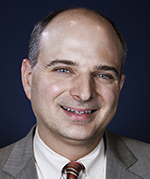 Noah Bookbinder is Executive Director of Citizens for Responsibility and Ethics in Washington (CREW). Prior to joining CREW in 2015, he served as Director of the Office of Legislative and Public Affairs at the U.S. Sentencing Commission for two years. From 2005 to 2013, he served as Chief Counsel for Criminal Justice for the U.S. Senate Judiciary Committee, where he advised on a wide variety of criminal justice issues. Norman Eisen is co-founder of CREW and was the chief ethics advisor for President Obama from 2009–2011. He is a Fellow in Governance Studies at the Brookings Institution and was U.S. Ambassador to the Czech Republic. Before entering the administration, Ambassador Eisen was a litigation partner in the Washington, D.C. law firm of Zuckerman Spaeder. 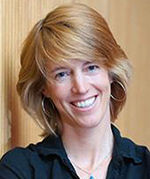 Zephyr Teachout is associate professor of law at Fordham University. A former Congressional candidate, she is an expert in laws governing political behavior, both domestically and abroad, as well as the insights of her original work on corruption and its constitutional history. Her books include Corruption in America and Mousepads, Shoe Leather, and Hope. PLEASE NOTE: To access NCG’s office, please enter through Main Street at 160 Main Street. Spear Street is temporarily closed for construction.